Mild and gentle skin care for face and hands. 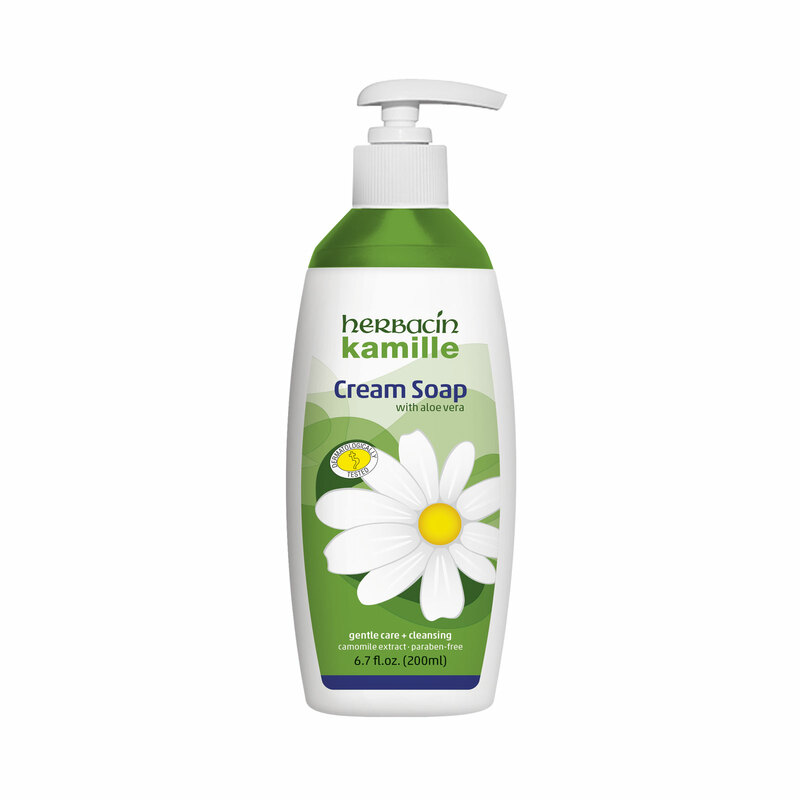 Herbacin kamille Cream Soap with its wonderfully creamy and soft foam cleans so mild and gentle that it is even suitable for your face. Irritation or redness are history – after cleansing your skin feels soft and supple again. The fresh and pleasant fragrance of the cream soap, which comes in a hygienic pump dispenser or a practical refill bottle, also enhances your overall well-being. A happy end, as you would expect from a good soap opera.